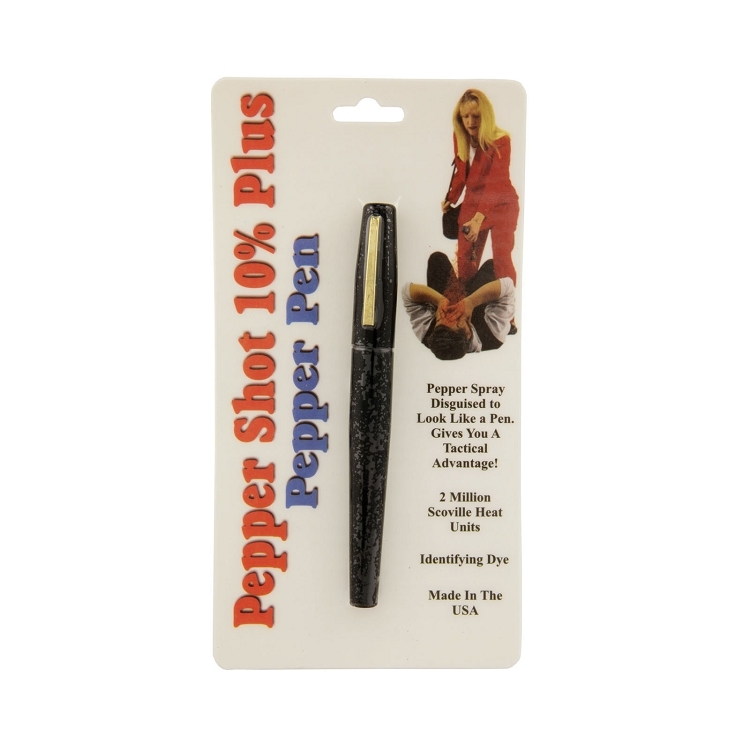 Pepper Shot 10% Plus Pepper Spray Pen. Discretely looks like a regular pen but packs a powerful punch. Excellent for self defence. 2 Million Scoville Heat Units Oleo Resin Capsicum with an identifying Ultra Violet Dye.